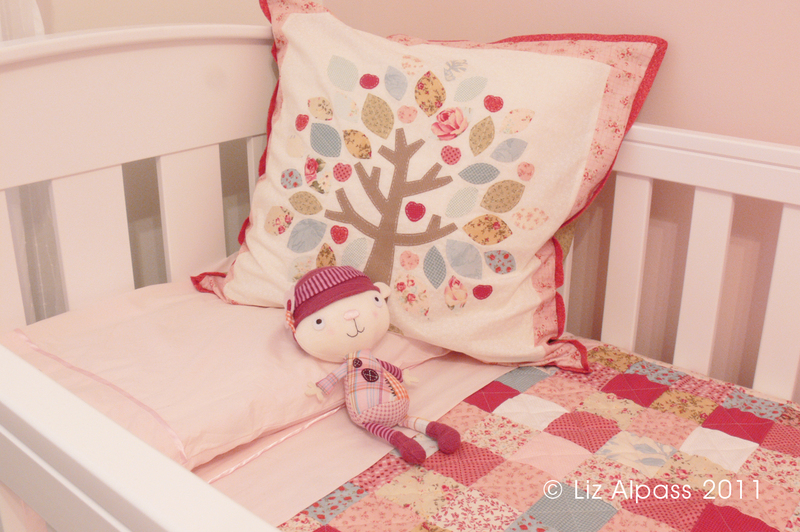 Here is a sneak-peek into some of the little projects I have been working on for the baby's room. I had trouble finding a quilt I liked at the shops and in the end thought stuff it I will make my own. I wanted the nursery to be unique, pink but not too pink and a little bit vintage inspired. I am no expert when it comes to sewing things and I have trouble following patterns, so I usually just make up my own along the way. But I found this blog Diary of a Quilter very handy with the quilt and Cluck Cluck Sew was the inspiration for my pillow. Sewing can be quite addictive. Give it a go!! 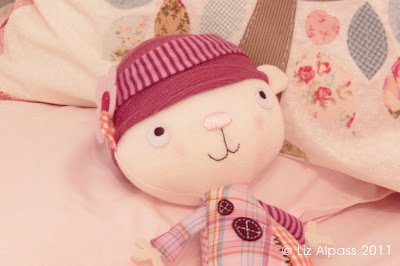 The cute Scrapbook Girl Rattle Toy is by Mamas & Papas - Daddy-to-be found it. Oh what a sweet and beautiful baby room...and your pillow is divine! An heirloom your baby and family will cherish through the ages. Wonderful images, Liz! Much congratulations on your upcoming baby's birth..SO exciting! !